"Doge's Palace" is where the prisoners were led from as it used to be where the courts were back in the day. 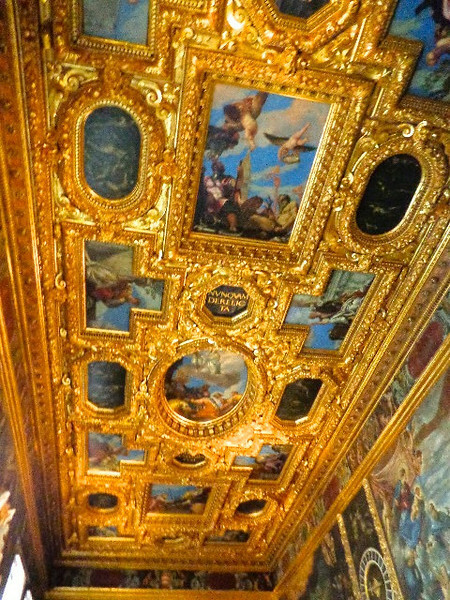 Today the Palace is an amazing Museum which contains some of the best Art we've ever seen, such as what was on this ceiling. As a picture can't do a scene like this justice, for sure visit the "Doge's Palace" when in Venice!